Focal laser is explained as a photocoagulation procedure wherein the laser is applied to vascular abnormalities and or leaking areas in the retina especially in the macular area (central area of the retina, essential for clear & accurate vision). It is typically done based on fluorescein angiogram study to pinpoint the location of abnormal vascular lesions or leaking areas. Predominantly, it is used for diabetic macular edemas (swellings) not involving the fovea i.e. centre of the macula and also in cases of central serous retinopathy (fluid accumulation under the retina). It can also be done based on clinical examination to note the thickened areas of the macula which harbour the leaking microaneurysms or also based on the colour-coded retinal thickness map of OCT of the macula. Is Yellow Laser better for a Focal Laser? Yes. Yellow laser is superior to the conventional green laser when the laser is being applied to the macular area. This is because of the extra safety of yellow laser wavelength (577 nm) not being absorbed by the xanthophyll pigment present in the foveal area. Thus it protects against any inadvertent damage to other vital structures in the vicinity. 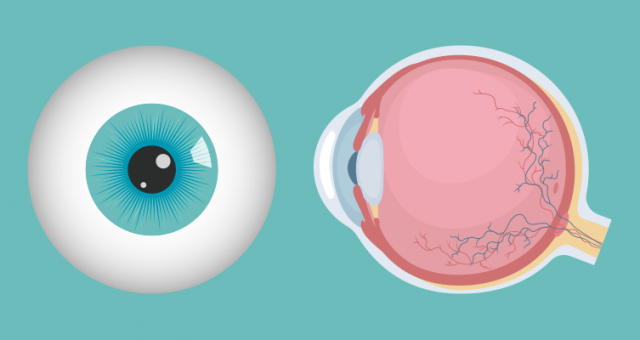 Laser procedure is an outpatient procedure and requires dilation of the pupil. Post dilation, local anaesthesia drops are instilled and patients chin and forehead are rested on the slit lamp. 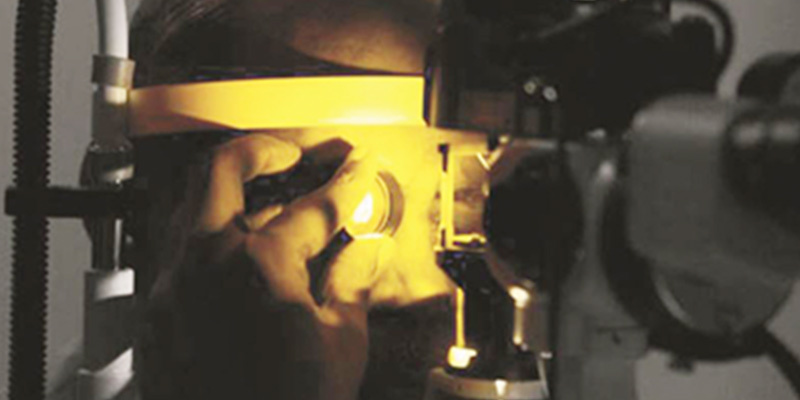 The doctor places a jelly coupled lens on the cornea (front of the eye) and thereafter focusing it on the retina, the laser is applied. The actual laser procedure lasts less than 5 minutes. Eye drops are prescribed following laser for about 2 weeks. The total duration of stay in the hospital for the patient could be for about 90 minutes. Fundus fluorescein angiography pictures of 2 eyes of the same patient with thickening of the retina (diabetic macular oedema) showing leaking points that need to be lasered. Fundus photographs of 2 eyes of the same patient after laser. Dr. Reddy is a renowned specialist in retinal surgery with more than 20 years’ experience in the field. 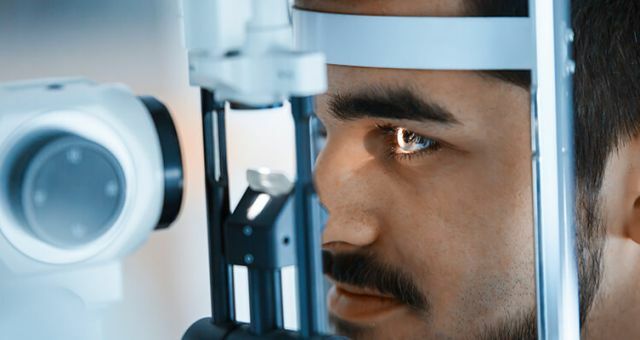 He is the Founder, Director and Chief Retinal Surgeon at NEORETINA Eyecare Institute, Hyderabad, which is a foremost referral centre for diseases of the Retina. 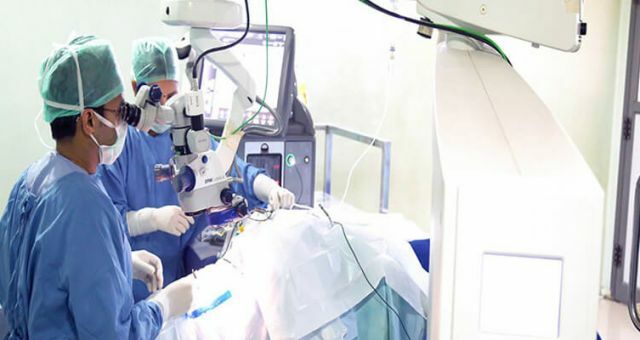 His areas of expertise include Surgical Retina especially complicated vitreo-retinal surgeries for retinal detachment, vitreous hemorrhage, advanced diabetic retinopathy, macular holes and epiretinal membranes. 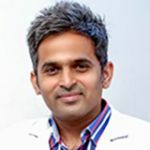 He studied MBBS and MD at the prestigious All India Institute of Medical Sciences, New Delhi and was a Specialist Registrar at the Vitreo-Retina Department of the reputed Dr. Rajendra Prasad Centre for Ophthalmic Sciences, AIIMS, New Delhi. He is a member of the American Society of Retinal Surgeons and is an active member of the state and national academic societies. 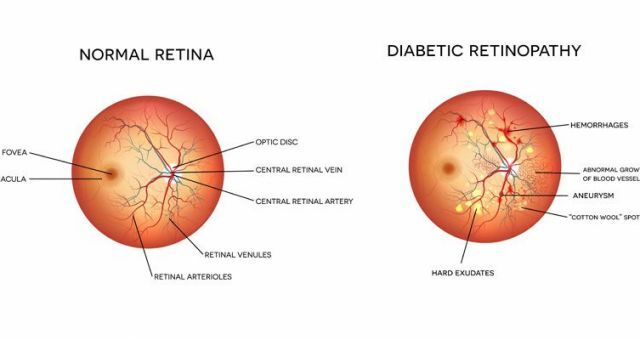 Diabetic Retinopathy- Can it be Reversed?